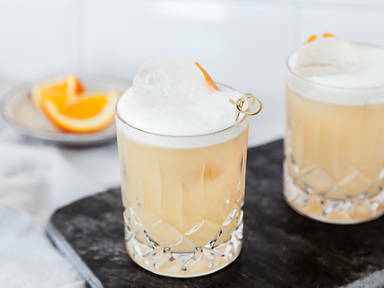 Add egg white, lemon juice, simple syrup, and whiskey to a cocktail shaker. Fill with ice. Shake thoroughly. Strain, remove ice, and shake once more. Pour into an old fashioned glass filled with ice and garnish with orange peel. Enjoy!